Last Saturday, the Robert Burns Birthplace Museum hosted the second annual Brass @ the Bards competition, involving Junior brass bands from all over Ayrshire and beyond. The event was held in the museum gardens, and after a frantic Friday of moving chairs and other furniture around, setting up marquees and staging, and organising timetables, we were good to go. Fortunately, the weather on the day stayed dry, if a little chilly! Each group played for 10-15 minutes, and we were treated to some brass band classics, alongside well known film themes such as Jurassic Park and James Bond. We were also lucky enough to have John Whitener of the RSNO with us to deliver a musical workshop for both the morning and afternoon groups of players. The cafe and shop were full of people buying snacks and souvenirs, and we were even offering face painting for the younger members of the audience. We would like to say a massive thank you to everybody from the museum involved in the event, to all those who helped organise it and to all those who came along on the day and supported us. But most of all, we would like to say a huge thank you and well done to all the young musicians who treated us all to a wonderful day of live music! We look forward to seeing everybody back next year. 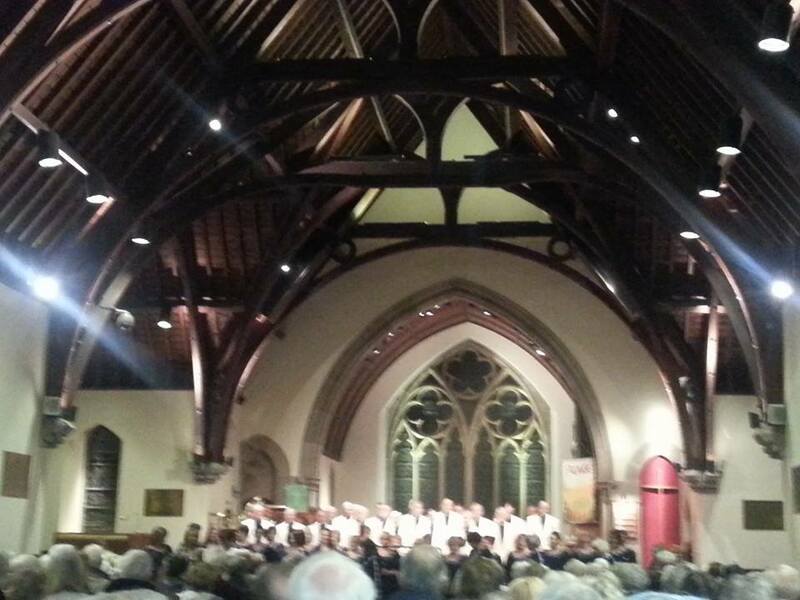 This entry was posted in Events, Robert Burns and tagged Ayrshire, Brass bands, Scotland, Youth band, Youth brass. Tam o Shanter: Happily Ever After? Our work experience student, Lachlan, has written a fantastic piece of creative writing, imagining the adventures of Tam o Shanter after his infamous night at Alloway Auld Kirk. What does life have in store for Tam now? Read on to find out! “Hey Tam, did ya see that lassie? I think she likes you.” Tam did not reply but his look in return let his friend know that he wanted quiet. Still, Tam’s friend stood up and said to him “You want another drink?” Tam replied to him “Sure if you want, but make it a small one. I need to be able to ride home again.” As Tam waited for his drink to arrive he could hear everyone around him laughing and cursing at each other. Suddenly, a barmaid was standing in front of him: “Hi Tammy, how are ya?” Tam glanced at the maid and snapped at her, “I’m fine.” “THAT’S THE LAST DRINK I SERVE YOU TAM” the barmaid shouted, then she walked away. Tam got up to leave but he heard his friend shouting across the bar, “Hey Tam, where ya goin’? You not having another drink?” He laughed and replied, “No, I need to get home to my wife. If I don’t, she will have ma guts for garters!”“Well then, I guess I’ll see you another day. Goodbye.” Tam said his goodbyes, walked out of the pub door and climbed onto his horse to ride home. As Tam was riding home he was distracted by thinking about how rude he had been to the barmaid so he decided to turn back. As he turned he noticed something on the road. He got off his horse and started to walk over and investigate. Tam looked down at the body in fear, wondering what had happened. He looked at the man’s face but did not recognise him. Then suddenly he realised the man had been shot and in his hand there was a rag covered in blood. Tam took the rag out of the man’s hand looked at it closely. Oddly, he recognized the material but he could not think of where it came from so he put the rag back and decided to return home before he was seen. Kate was away for hours, with she has said no word of where she was going. Tam decided to look around the kitchen to find out why she was acting so strangely but he found nothing. As Tam started to walk through the house, he noticed something above the door. It was a box with no design around the outside. Tam opened the box and found a shocking discovery. It was a dress covered in blood with a hole torn in the side. Instantly, Tam dropped the box on the floor. The box hit the floor with enough force to break it. As he looked down at the broken box he noticed that rolled inside the bloody dress was a flintlock that had had its shot fired. Tam grabbed the flintlock and just as he walked into the kitchen, Kate walked through the door with someone that Tam recognized. Tam did not dare to move but said, “Two in one night? You trying to make a record?” She just laughed and said, “You were always charming Tammy, but it won’t get you anywhere now!” Kate was crying because she knew that Tam would have no chance of talking his way out of this one. “So, what’s your name?” Tam asked the barmaid. “Pousie Nancy, my name is Nancy.” Tam was not sure if she would shoot him. After a pause, Nancy looked him sadly and said, “I am going to need to shoot you Tam”, pulling the trigger as she spoke. The gun did not fire! This entry was posted in Robert Burns. In eternal rest… or not? A small and unassuming exhibit in our museum which people may miss on the way round is this English silver penny. Minted in Canterbury in the 13th century and only discovered in 2009, this “long cross” coin is from the reign of Edward I which dates it between 1239 and 1300. A “long cross” coin has the design stamped all the way across the face, designed to act as an anti-counterfeit measure. Many coins were clipped – an illegal practice performed by unscrupulous individuals, who would melt down the resulting slivers of metal and profit by selling the silver. “The two first books I ever read in private, and which gave me more pleasure than any two books I ever read again, were the life of Hannibal and the history of Sir William Wallace… The story of Wallace poured a Scottish prejudice in my veins which will boil along there till the flood-gates of life shut in eternal rest”. When the Burns family were living at Lochlie farm, Robert would go walking in Leglen wood, a favourite hiding place of Wallace. “I chose a fine summer Sunday, the only day of the week in my power, and walked half a dozen of miles to pay my respects to the “Leglen Wood”, with as much devout enthusiasm as ever pilgrim did to Loreto; and as I explored every den and dell where I could suppose my heroic Countryman to have sheltered, I recollect (for even then I was a Rhymer) that my heart glowed with a wish to be able to make a Song on him, equal to his merits.” That song turned out to be “Scots Wha Hae” and Wallace is mentioned in a footnote to “The Vision” as well, in case the reader misunderstands who Burns means by “His country’s saviour”! 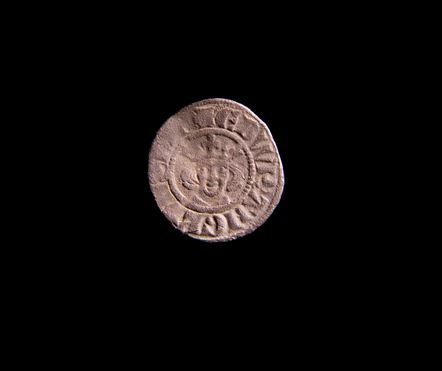 This entry was posted in Object Focus, Robert Burns and tagged Archaeology, English penny, Lochlie, long cross coin, Scots Wha Hae, William Wallace. Excise Dipping Rods are not something many of us would now be familiar with, resembling five fairly unremarkable wooden sticks or perhaps the world’s most useless thermometers. 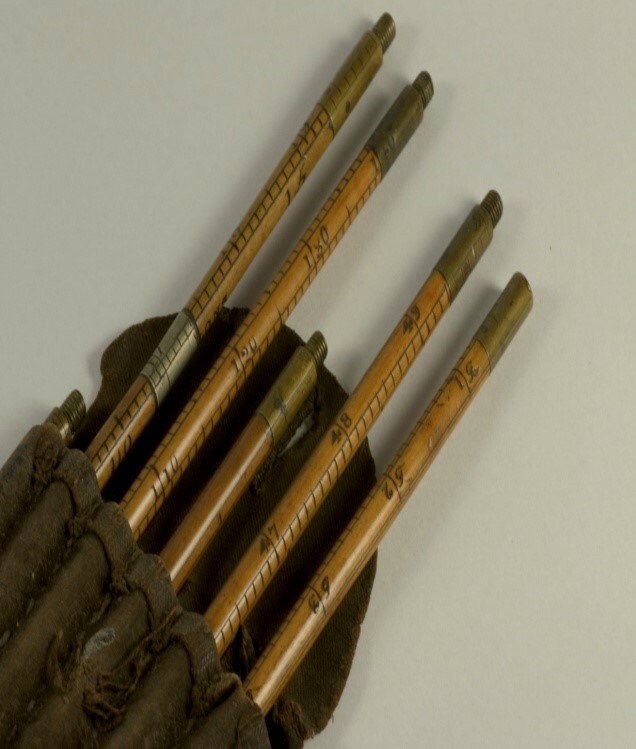 However, for Robert Burns these were essential tools of his trade as an Excise Officer. He would have carried this set as he went about his day, measuring whisky and beer for taxation from the late 1780s. They could measure up to 300 gallons of liquid, fitting together to make a 60 inch rod in total. Despite being unassuming at first glance, these rods would have represented for Burns his measured and controlled life as an official of the crown. Burns used his connections to secure a job as an Exciseman in Dumfries upon realising that his career as a farmer was rapidly declining. He became responsible not only for collecting tax but thwarting smuggling; prolific during the 18th century, including in its definition the practice of illegal distilling and a dangerous pursuit for all involved. 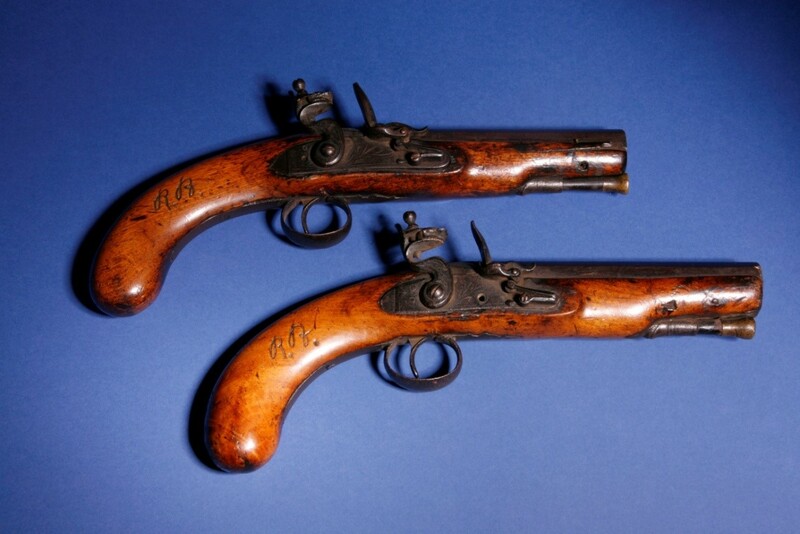 This was perilous and tiring work, requiring the certain amount of protection afforded by the pistols seen below which are emblazoned with the initials R.B. and on display in the museum. Burns also carried an equally fearsome sword-stick. Burns’ relationship with the profession was far from easy, exemplified by his mocking song ‘The Deil’s Awa Wi the Exciseman’ (1792). From the early excitement of seizing a smuggling ship in 1792 to writing to Peter Hill to lament the human condition of being ‘under damning necessity of studying selfishness in order that we may exist’, Burns stuck at the profession until his untimely death. Thus the worn leather pouch and precisely ruled wooden rods within are not weighty to carry but perhaps weighed heavily on Burns’ mind as incongruous to his nature but representative of a necessary evil. This entry was posted in Object Focus, Robert Burns and tagged excise dipping rods, Exciseman, pistols, smuggling, sword-stick, tax. 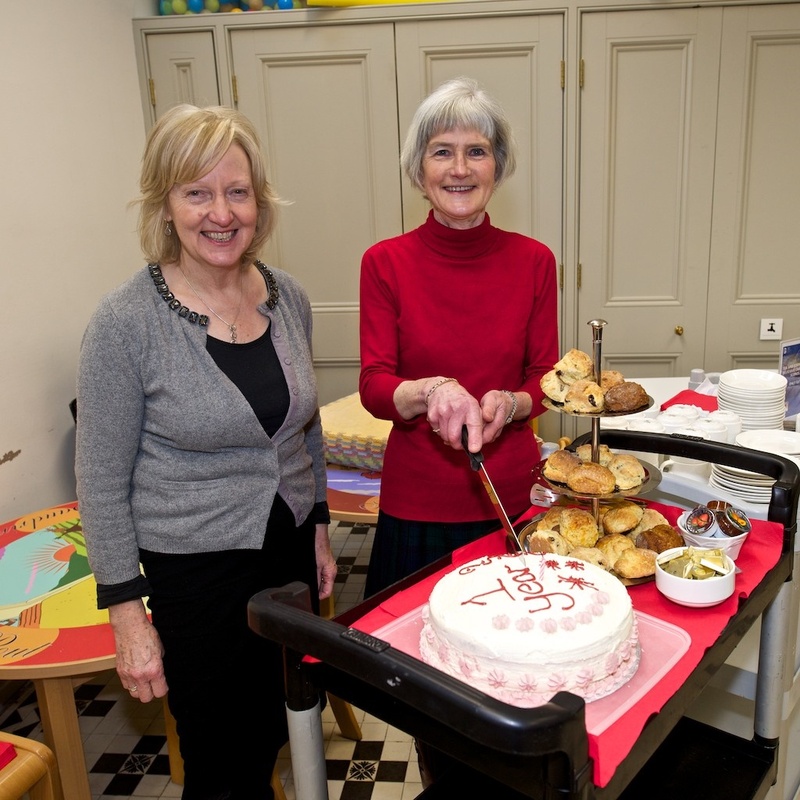 Last week, RBBM’s Book Club and Cupcake Cafe celebrated its first birthday in style. For the past year, the group has been meeting on the last Tuesday afternoon of every month and has now swelled in numbers so much it has had to be split into two! Every month a new book is selected and past reading material has included the Suspicions of Mr Whicher and The Widow and her Hero. These books are kindly provided for us by the Carnegie Library in Ayr. To mark this special occasion, our catering department provided some delicious looking scones, and the group’s very own pastry chef created this scrumptious big iced cake and candle! 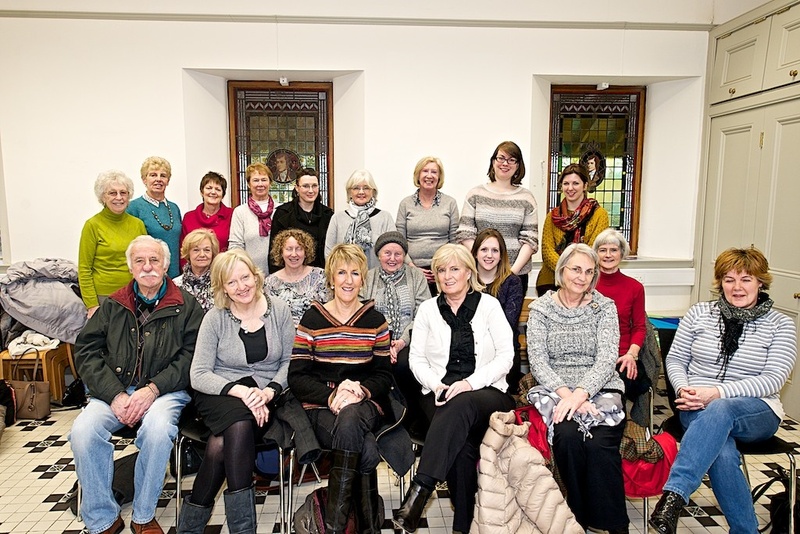 We would like to wish the Book Club a very Happy Birthday and give a big thanks to everyone involved in running it and of course all those who attend! In other news, our dedicated team of volunteers have been working hard to prepare the garden shop for opening on the 18th April (Good Friday). The Friends of RBBM have raised a lot of money for a very good cause with the proceeds from plant sales and are looking forward to getting stuck in again this year. Watch this space for further details. This entry was posted in Events and tagged birthday, Book club, book club and cupcake cafe, carnegie library, Friends of RBBM, Garden shop. In his poem ‘the Late Captain Grose’s Peregrinations Thro’ Scotland’, Robert Burns referred to his homeland as the ‘Land o Cakes’. This phrase had previously been used to describe Scotland by Burns’ idol Robert Fergusson. Although today this phrase seems more like a Willy Wonka Swedger Scotland, the cakes referred to are not battenbergs, swiss rolls, or even fruitcakes, but rather oatcakes. 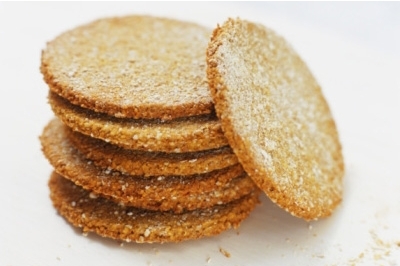 The rough or smooth, circular or triangular, porage-like biscuits might not seem particularly special to us, but oatcakes or ‘bannocks’ have been eaten by Scots on the move or at home since at least the middle ages. Oats were particularly popular in Scotland as they were one of few grains that was hardy enough to survive in the harsh climate we know, endure, and joke about. Once the staple food of the poor in Scotland, oatcakes are now more likely to accompany an expensive single malt whisky or appear alongside an array of continental cheeses. In fact, it may now be that the phrase ‘land o cakes’ no longer applies to Scotland. Perhaps ‘land o chips’ would be more accurate, or ‘country o pakora’. The average Scottish citizen is undoubtedly better nourished than in the eighteenth century. However, the move from a low-meat diet of vegetables and oats, to one consisting of processed foods high in sugar and salt, has not been entirely positive. So on this day when we use up our eggs, flour and milk to make a pancake feast, let’s spare a thought for the everyday meal-based meals of millions of Scots across the centuries, who lived in this land o cakes. This entry was posted in Uncategorized and tagged oatcakes, pancake day.